This isn’t so much a recipe as it is a combination of flavors that I want to remember. Forever. And ever. 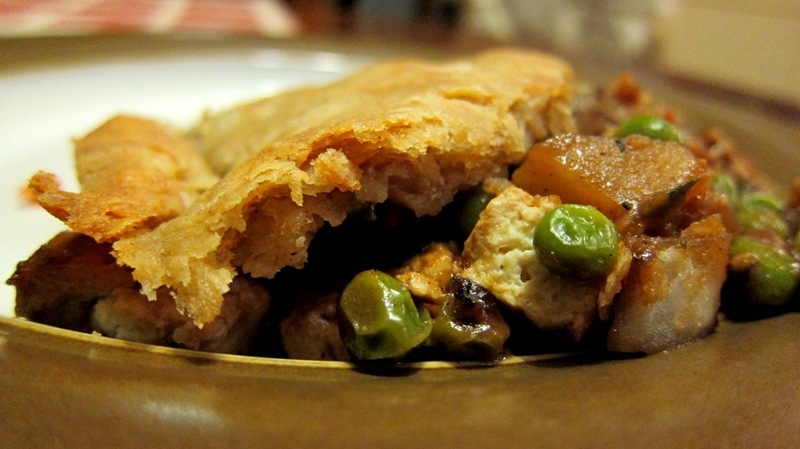 The first time I made this I had thawed puff pastry in the fridge that needed to be used that night. 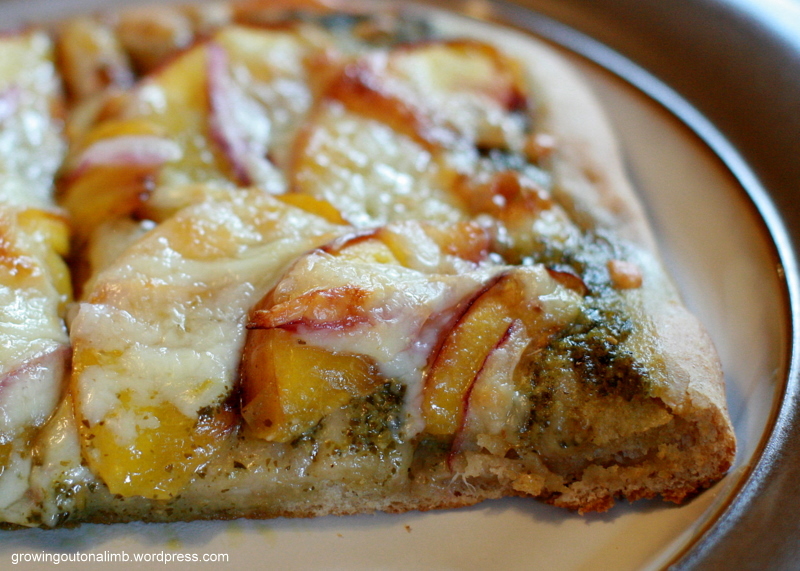 I told hubby I was thinking pizza and along came this link for peach and pesto pizza. 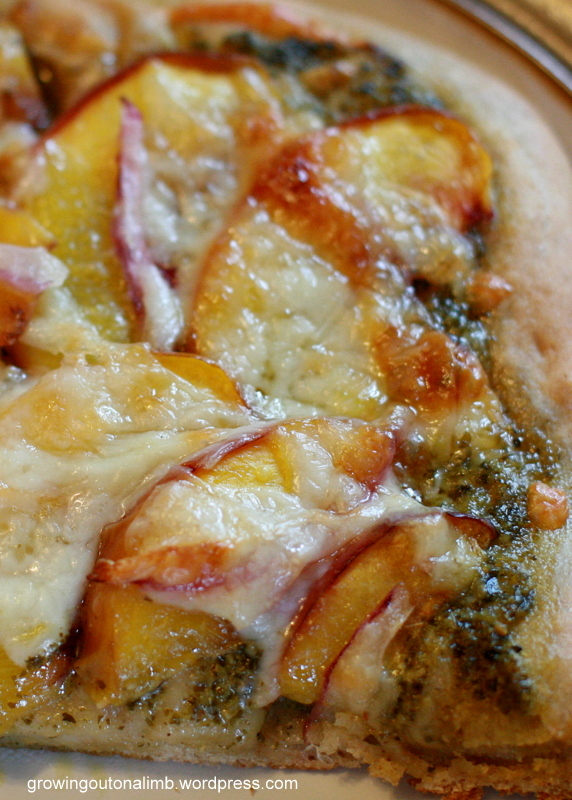 I thought he was crazy for suggesting the combo but I had a basket of peaches, I always have pesto on hand, and there was fresh mozza screaming to be used so hey… why not? The only problem with that first one, believe it or not, was that I didn’t use enough peaches! So I loaded them on the second time around and swapped the puff pastry for homemade dough. I also add a bit of red onion. Yum! Seriously… this is so good that I’m actually sad peach season is over so I can’t make it three times a week! Categories: Recipes: Vegetables | Permalink. I bought those boxes of add-your-own-water falafel mix for a long time. They were yummy but when I realized how easy it is to make my own, I never looked back! I make falafel about once a month but Hubby and I agree I could make it more. We love them tucked into a pita with lettuce, tomato, and tzatziki sauce. Oliver likes them too (for him I use the little pita wedges you see in the pictures), which I think is awesome. Put the first eight ingredients in a food processer; pulse until combined but not yet smooth. Add flour and baking powder; pulse until mixture is soft and can be rolled into little balls without sticking much to the hands. Add more flour if necessary. Roll into meatball-sized balls. Flatten into patties if desired. I have found patties easier to fry and easier to tuck into a pita. 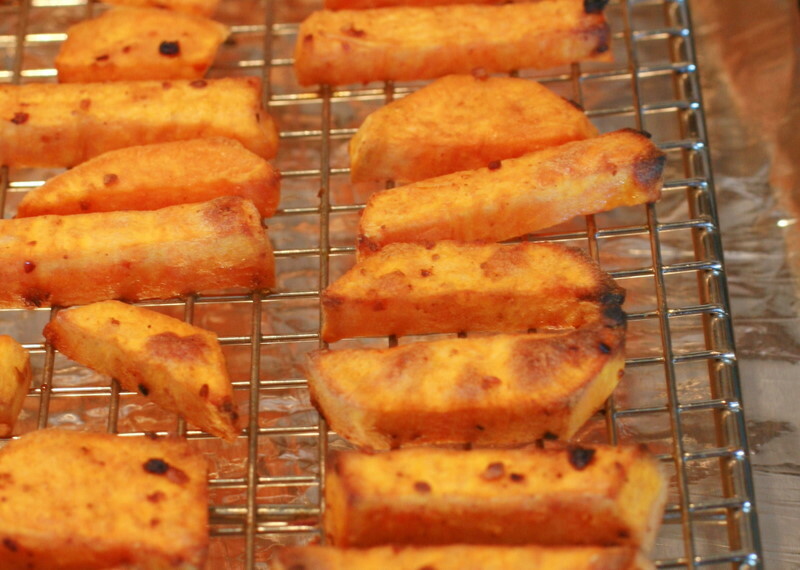 Heat a bit of oil and fry on each side until golden. I sometimes have to add some more oil between batches. 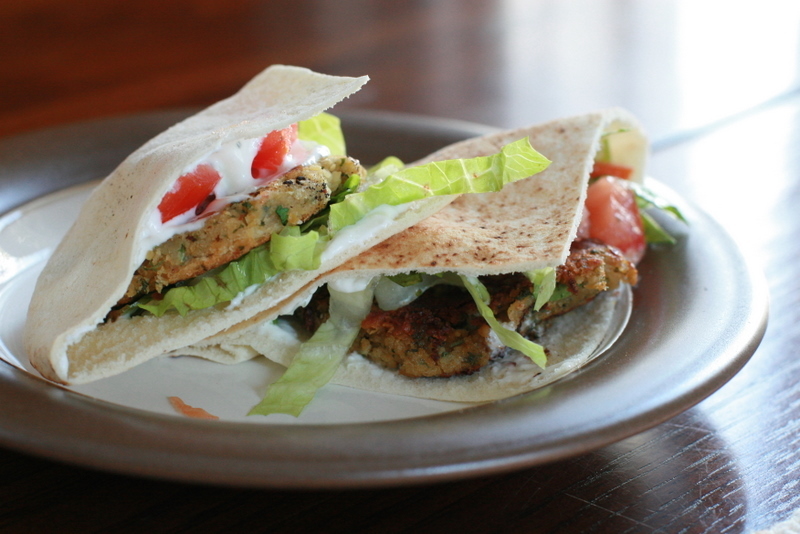 Tuck them in a pita with some tzatziki sauce, lettuce, tomato, and munch away! 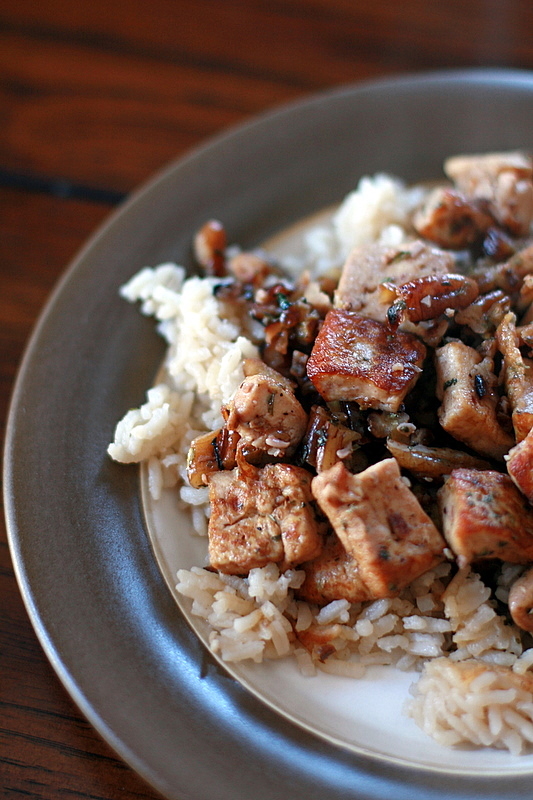 Let me say this: If you’re on the fence about tofu, this is an excellent place to start. The recipe is from here, 101cookbooks.com. I watch this site carefully and love the natural, organic feel of her recipes, not to mention the tips and tricks on vegetarian cooking. This is so easy and quick to prepare! 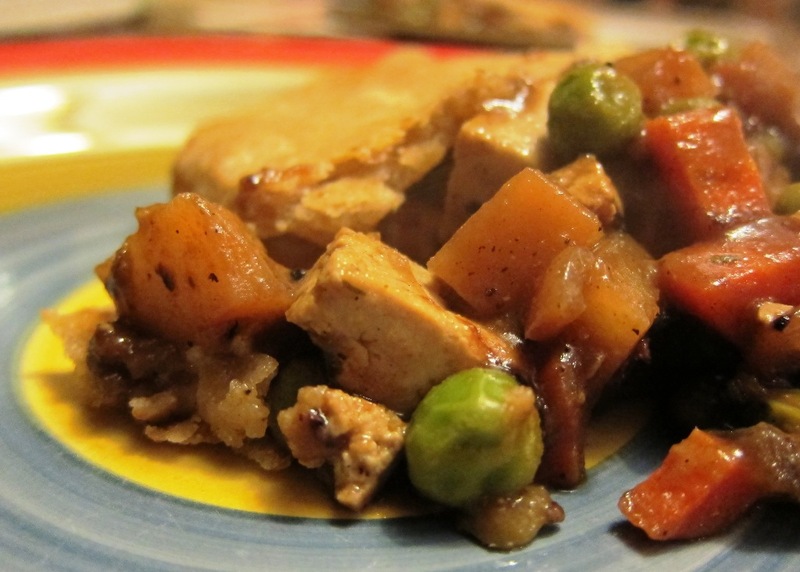 I originally served the tofu on gently sauteed spinach, as the author suggested, in place of the brussel sprouts. The spinach was a pretty strong flavor there so I definitely intend on trying it again on the sprouts to see how it compares. 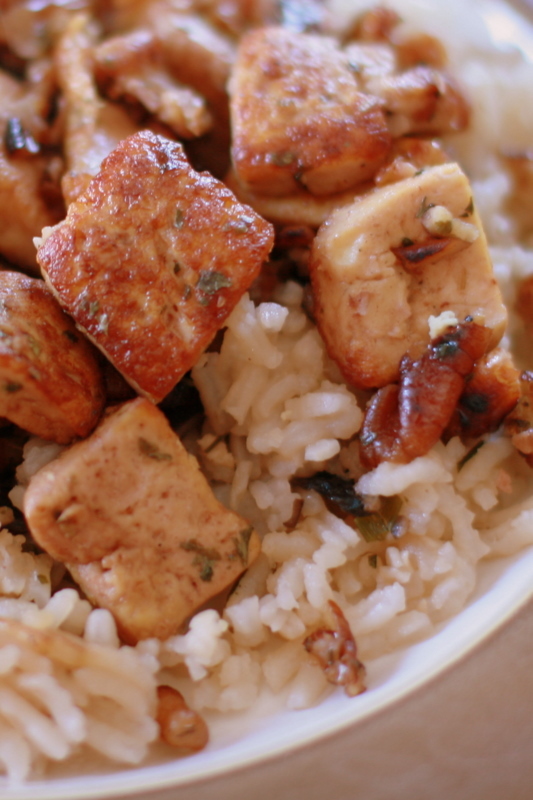 (The photos here show the tofu served on mushroom rice, which was really yummy as well). Cook the tofu in a large hot skillet with a bit of sea salt and oil. Saute until slightly golden (mine took 8 or 10 minutes). Add the garlic and pecans and cook for another minute or so. Stir in sugar and cook another couple of minutes. Set aside. In the same pan, add a bit more oil and turn heat up to medium-high. Add the brussel sprouts and cook 2 or 3 minutes, until there are golden bits. (For spinach, I didn’t need any more oil and just cooked until it was slightly wilted). When I’m talking food, people often ask me if Brian is also a vegetarian. Most times I joke, “Not by choice” but the truth is that he’s fine with having several vegetarian meals through the week. So I’m always looking for vegetarian recipes that will satisfy all of us and have had this recipe at the kitchn in the “to try” bucket for a while. It didn’t disappoint Brian or I… or Oliver, for that matter. We all lapped it right up. The only change I made with with the nutritional yeast. I didn’t have it and my small-town grocery store doesn’t carry it so, after a little research, I substituted a little grated parmesan instead. I made the filling ahead of time and just threw the crust together before baking… super convenient. Cut tofu into a 1/3-inch dice and press between paper or dish towels to get rid of excess water. Heat 1 Tbsp of olive oil in a skillet over medium heat until golden. Remove from skillet and set aside. Heat remaining 2 Tbsp oil and add onion, celery, carrot, and garlic. Saute until onion is translucent. Add potato to skillet and cook until tender but not mushy. Add flour, nutritional yeast (or parmesan), and soy sauce to skllet and stir into vegetables. Add broth and stir until combined, scraping the browned bits from the bottom of the pan. Add tofu, peas, sage, and thyme and stir just until combined. Chill ingredients and tools in freezer prior to preparing the crust. Cut butter into small bits and add to flour. Cut butter into flour until it resembles coarse meal. Gradually add ice water into bowl, mixing until dough just comes together. Quickly shape into a ball and flatten into a disk. Place on a floured surface and roll out to fit dishes. The original author used two ramekins but I didn’t have the right size so used a 9″ square casserole dish. Whatever dish you use, roll out and cut the crust accordingly. Put vegetable mixture into dish. Cover with crust, rolling under the edges to form a thicker edge. Seal around the edges and cut a slit in the middle. 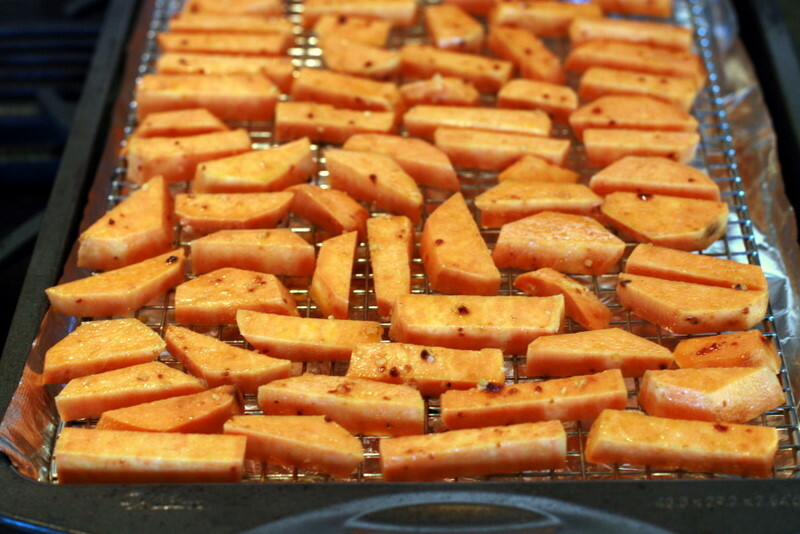 Bake in a 400 degree oven until golden and bubbling, about 30 minutes. Categories: Recipes, Recipes: Oliver-approved, Recipes: Vegetables | Permalink.